Communication. An action we’re all familiar with. Literally and metaphorically this vital form of discussion, debate or speech; forms a vital part of our daily ritual. Why write about something which is a common occurance in everyone’s life? Why not say it? In an instance, this becomes relatable as we understand the principle of talking. But lets step back from this and understand why communication plays a part of our daily routine. ‘Let’s talk’ famous words quoted by Coldplay are essentially what this blog entry is about. Talking is an important form we’re all familiar with, but until we sit down and think about it’s infinite role in life we can begin to appreciate the importance of it. PSC has given the opportunity to explore the importance of communication. Whether that’s with students or teachers, communication plays an important part in the running of a class. By identifying and replicating the teachers technique, I’ve found the level of interaction between students has increased. By keeping a professional attitude towards the role, communication plays a vital part in the development of our understandings. This may all seem completely unrelated. But communication clearly plays an essential role in our everyday life. Team communication at work is necessary to complete a job or when writing a blog you need to communicate. You may have noticed the tone of the entry has changed. I’m coming to the end of my placement as PSC. It’s been an exciting few months with lots of challenges along the way. It’s quite an unusual feeling knowing something is coming to an end. It’s not quite sadness nor is it fustration. Maybe its trepidation for the future. An uncertainty of whats next. This post highlights the importance of ‘talking’ to one another. These skills are essential in everyday life. Whether outside the classroom or at home, I feel I have grown to embrace them. The future is an uncertain one but one that I will also embrace. 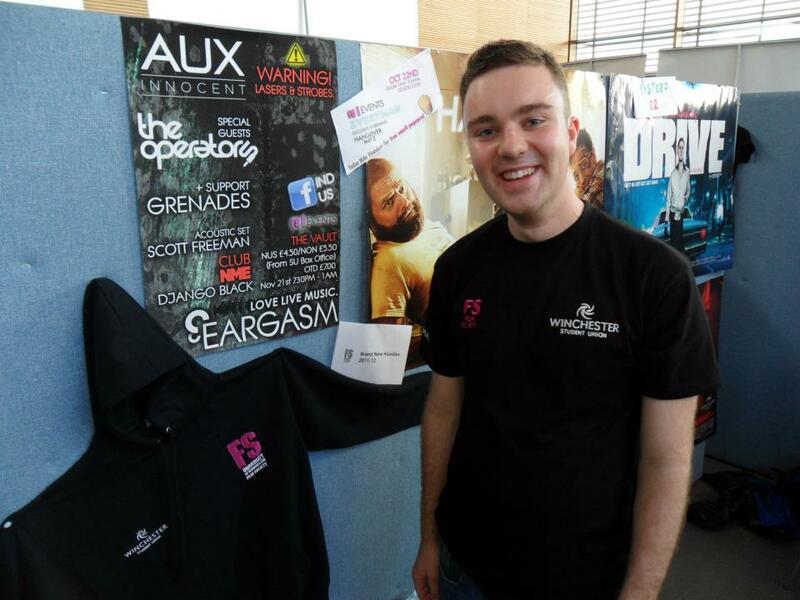 I never saw myself at Freshers Fayre 2011 promoting Film Society before the event took place. Maybe leading up towards it as we prepare the promo material and stall. My point reflects the inability to sense the direction you are heading towards. Anything could happen? I didn’t see myself stepping down as Chair just a few months later due to work commitments. Direction is an unfair beast. With PSC, having my placement extended was an awesome experience and one that I didn’t expect. Working with the students on there projects is an enriching experience and one which I hope to repeat one day. Life Lessons are a part of the wider picture. We will never stop learning as long as theres something new to learn. I’ve learnt so many life lessons from PSC, from patience through to team communication. These are all skills that I can bring across to other areas in my life. The tenth post on my blog doesn’t really have any bells or whistles. It’s a ‘pure post’ detailing the lack of foresight we all possess and the approach towards it. We shouldn’t be scared of the direction we’re heading. I guess we should embrace it, talk about it and laugh at it. I never saw myself becoming a teacher until 9 months ago. Direction is a strange occurance that we’re all following. Maybe it’s time to take a different path and head in a new direction. Just a little extract from my prospectus I’m writing for the module. A small overview of the institution I’m working for. I’ve got to be honest, the writing style for this is a lot more formal. Rather than the informal nature of the blog. I thought it might give you guys a little insight into the College and what I was doing. I’m loving the placement and hope it carrys on well into March. I’ve got two more dates sets for the end of next week so I’ll update the blog with more info about that. For more on my past exploits at PSC feel free to check out my other posts. Until next time, I’d like to leave you with a few thoughts. Have you ever thought about ‘What could have been?’ or ‘Things could have been different?’ I’ll be writing about the past… again. But this time, detailing the ‘Wrong Path towards Uni.’ Another retrospective about the decision I took which lead me to were I am today. The Adventures of Post-16 has certainly been eventful, each week presents itself with new challenges and hurdles to overcome. I’ve always said this would be an honest blog about my experiences into teaching. This weeks events have truly been eventful coming across file formats I didn’t recognise, being asked the inner workings of masks on Photoshop. You might be sat there thinking “This is easy” or “try harder next time.” Ive got to be honest, I was truly stumped. It surprised me to encounter techniques which I haven’t even covered in my degree. I was assisting with A2 Film Studies. Maybe my degree I’m on focuses to much on the film and not the post production? It isn’t the first time I’ve ever been stumped but coming across technically challenging issues at this level was unexpected. The students I were helping out are extremely intellegent and extremely patient. 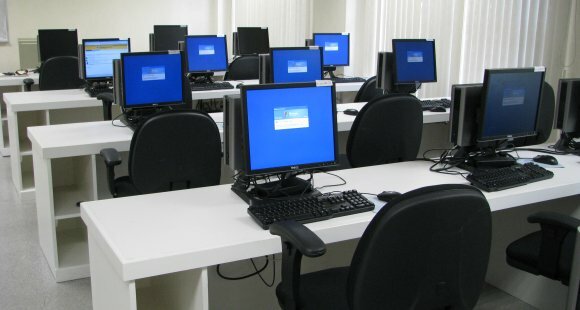 Maybe my knowledge on the software was at fault, that I should prepared and familirised myself before I entered the classroom. I had left the metaphorical shallows and waded into deep waters, so to speak. I had already noticed that some student’s were focusing on areas that I had no experience in whilst others were focusing on the editing via Premier Pro. Obviously, being comfortable with the later I turned my attention towards these guys. I could ensure that my knowledge from using Premier Pro could enhance there movie trailers. In some respects, maybe I should have turned my attention towards those that were using software I hadn’t used. Prehaps it was a subconcious decision I took not to look like a tool. How can you prepare for something if you haven’t been briefed about it beforehand? The answer to that question… I don’t really know. I guess the good ol’ honest approach would say ‘Your responcible for your actions, go find out.’ I wish I had the ability to see into the future, were I could determine a situations outcome. Prehaps thats to OTT, maybe all I need is some common sense. Generally speaking, organisation is one of my strong points, sometimes I’m to organised. On occasion things fall through the loop. Being producer for a variety of projects (during my degree) has improved my patience ten fold as well as preparation. One of the lessons I’ve learned is always have an exit plan. Or in this case alway have a plan. Could this be the shortest post yet? Who knows? What I can tell you is I’ve finally entered the tweetosphere, so you lucky people (if any) can keep up to date on my latest ramblings. https://twitter.com/#!/muchofilms Thanks to everyone so far who’ve read the blog and left comments. Back to the Past was a sentimental post from someone who isn’t very sentimental. A discussion I had with a mate put this into perspective. My time at University is going quickly. In my last post I mentioned that time can be extremely unforgiving. When you seem to be enjoying it, it’s suddenly taken away from you. We were talking about such a thing, how quickly the last two years have gone. Instantly, everything becomes more real. Taking this and applying it to my past seems easier at first, but trying to pin point the exact events that took place can be difficult. Film is a medium which can record such events, something that I’ve promised to show and discuss. Back to the Past: The Sequel. College, a time of creativity, new ideas and possibilities. A time of making videos for fun and for a BTEC. This part of the experience involved working with a variety of different people. People whom I’m still mates with today. Over a period of time we made horrors, documentary, animation, promotional, music videos & much much more. Aside from this, I found myself complelled to look back to the past, but instead writing about it I thought I’d show you through video. Rather than talk in detail, it be great if my readers (if any) could comment on the blog about what you think? Do you think video can be used as a form of retrospective? Can you get the same from photos, drawings and etchings? My good friend Toni Toll acted as presenter for this investigative documentary. Taking place on the Isle of Wight, Toni Toll took part in three very different forms of spirit communication. Tarot Cards, Psychometry & Clairvoyance. Basing her final test in Tarot. This part of the documentary looks at Tarot with a reading with Psychic Caroline McReynolds. Afterwards, there’s a short section about the haunted pub The Wheatsheaf on the Isle of Wight. So how does this all relate? Why look to the past at all? By providing a back story to my journey from GCSE to Degree, I’ve begun what seems like a review or journal of the events. An online list to reflect, record and relate to a time when things appeared easier. A time when everything seemed just normal. In a time when everything happens at once and then slows completley, its great to be able to pause and consider the past. In a way, it’s fairly relaxing. The retrospective might concentrate on College but for me, it was a time of fulfillment and a time to explore creativity. I’ll leave you with something a little nostalgic. My attempt at experimental film has always been hit and miss. For College I produced an abstract video about my fathers memories growing up. In a way, I’ve already answered the question above. ‘Can film be used as a form of retrospective?’ Even though the past will always be remembered I feel it’s time to look forward. But for now… i’ll remain in the past, just a little longer. If you’ve been following my posts you may have noticed that I refer to my time in College alot. I guess there’s something about it that I haven’t experienced since or that the situations occurring in PSC are relatable. In an instance, I remember my first day then suddenly two years seems like two minutes. Time is a harsh condition that can be unforgiving. As soon as you enjoy and value an experience, it’s already over. You might be thinking: “What’s with this metaphysical mumbo-jumbo?” A feeling of nostalgia seems to wash over me. After meeting with a friend last week, we were looking through old photos from our times at College. For all those who love Facebook’s new timeline this was akin to that. Just a lot more personal. Photos from 2008 from our first beach party through to Halloween in 2009. Its memories like these that make things more real. It’s difficult to put into words how I felt. Firstly, I had forgotten seemingly insignificant events like going to the beach. Suddenly, I was transported back to the past were we were sat on the beach eating ice cream. This might seem extremely sentimental but these memories are fond ones. Just forgotten. Another instance transported us back to a friend’s birthday party. The theme: Medieval. A bed sheet and a wooden cross. I was now a monk. Picking out a picture for my friend’s birthday was seemingly easy. A photo of the group, together in our entire garb. A great memory framed for years to come. College was a time of memories. Meeting a group of amazing people that I’m still friends with makes everything so far count tenfold. Without them I probably wouldn’t be where I am today. Despite some obstacles along the way they’ve got me through it. So how does this relate back to Beyond Volunteering? Well it doesn’t… although in some respects it does. College was a time when ‘big decisions’ had to be made. Those decisions put everything into perspective. What career I’d like to go into? What area to do a degree in? Working at PSC with Media Studies and Film Studies AS has given me the scope to apply knowledge I gained from personal experiences at College. I can relay this back to the students, sort of acting as a middle point between further and higher education. Beyond volunteering not only discusses the present, but it also draws upon my experiences in the past. It uses them as a spring board towards a potential career in teaching. Who knows where I will end up? By making a more personal entry into the blog, I hope you can understand the mentality behind this career choice. For the next week I’ll be drawing upon the past often when I look back at my college work. Presenting something visual will hopefully jog more memories as I begin to relive those forgotten memories once again. Even though my placement doesn’t start again till next week, I’ve spent some time considering parts I’ve enjoyed that I haven’t talked about. Blogs are meant to be a retrospective and act as a point of reference. One aspect of placement was the ability to learn new skills within editing. I have used an older version of Premier Pro which has a built in DVD ripping tool. In the new version, the students learnt how to burn a DVD using Adobe Bridge. A package which is used across the Adobe Suite of programmes. This example may seem insignificant, however it showed me the simplicity of learning new skills which save on time. I was asked to show a student how to create a grain effect for an old TV. I had encountered a similar situation back in College that I could draw upon for this. Working with the student, we found a solution to the question. I found this extremely rewarding. It also increased my understanding of the software, as the edition used was different from what I’m familiar with. One skill that was necessary to apply was communicating the right message to the student and listening to there responce. This week is my final time working with AS Media Studies. It’s been a great experience getting to know the cirriculum as well as the students work. Some of this experience harks back to my time doing Media Studies at GCSE as the focus on theory was used to gain a practical edge. I’ve learnt alot about myself in the process as well as helping towards the students final project before A2 begins next year. Using the updated software, I’ve learnt how to export video onto DVD using the Adobe Bridge software. Creating a secondary buring file for later projects/ or burns. Working with Media Studies AS has shown me that communication is essential between the students and the technicians. Its a vital component in the success and delivery of the film. By determining a specific structure (early on in pre-production) we could speed up the application of editing. Why start a blog with something pretentious? Just by writing this word, you feel I’m already talking at you… but is that the point of a blog? The endless drivel of someone who would rather write than talk. I never set out to be creative or clever about blogging. I see it as an aid to look back on my experiences. (Ofcourse the module says I should write one) but it’s more than that. do pictures say more than words? I started out by being honest about my experiences. Even though I’ve been at placement less than a week, I can already see this as a career for me. Put simply, theres a difference between actually doing something than listening about a possible career. Doing is better than doing nothing at all. When you learn in classroom you get two different occurances. Those who enjoy the theory, who find it difficult to put it to practice or those who excel at practical elements but are limited by the theory. I’m the later. Even though I see theory as a necessary evil. For me, I will need to adopt the theory to progress further. By talking to the teachers at College they seem to suffer with the first. They provide the knowledge of theory but the execution is handled by media technicians. I asked what they would recommend? They suggested studying a PGCE after my course. “Blogging” is all about reflecting on your experiences. It’s a great tool as it acts as a metaphorical time machine. With pictures and words trying to fight for space it’s a technique which I’m still perfecting. From the first weeks experiences, I’ve learnt two conflicting mediums (pictures and words) can work together. Similar to “Theory” and “Practicality,” to progress I will need to understand the connection between the two.